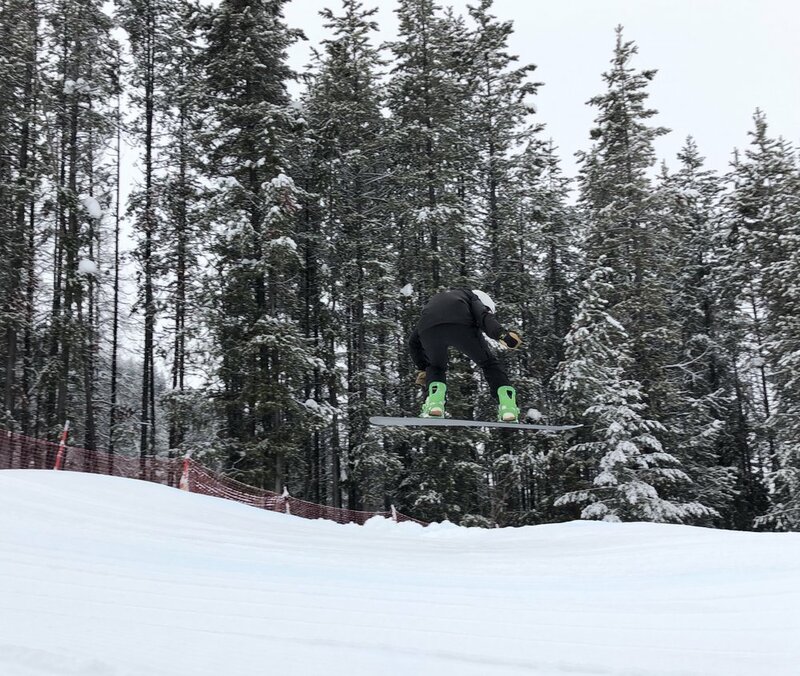 Snowboard student-athletes, Connor Shea and Maggie Hall, traveled to Panorama Mountain last week, located in the beautiful British Columbia with Coach Eddie Johnson. They competed in 2 Nor Am boardercross (BX) races and participated in a high level Snowboard Cross Camp. The Nor Am is a Canadian FIS sanctioned BX race. Connor and Maggie competed in this high level race that was attended by both the US and Canadian teams. Olympic athletes, Hagen Kearney, Alex Deibold, and Faye Gulini were a few of the top riders that competed in the races and attended the camp following the event. It was an excellent opportunity for Maggie and Connor to see some of the best BX riders, both competing and training. Following the event was the 5 day BX camp, run by Canada Snowboard. This professionally run camp provided Maggie and Connor with the opportunity to work on all the components of a BX race. Each day the course was changed up a bit so the athletes had new challenges to face. This led to daily progression and problem solving. By the end of the camp, both athletes left with new confidence in their riding. Maggie and Connor had a great time, not only improving their skills, but also getting to train alongside top level riders!